So you’re working on a project where you need to cut a big wide slab, perhaps a table or a bench, and you say to yourself “how can I cut this cleanly in such a way that I don’t have to spend the rest of my life sanding the end grain smooth?”. You are correct in being concerned that end grain takes some work to sand, but perhaps you were wondering how to cross cut in such a way that the sanding effort is greatly minimized. Well, never fear, George is here with a great tip for cross cutting that saves on sanding. When most people think about how to cross cut, their first thought is to set up a sled on the table saw or, if they are dealing with a massive slab, perhaps a circular saw and straight edge. 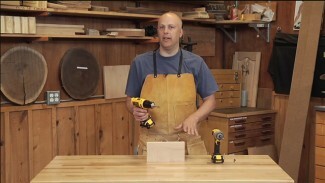 These are certainly valid approaches, but there is another approach that utilizes the router and can save you some sanding time. Establish a cut line on one side. 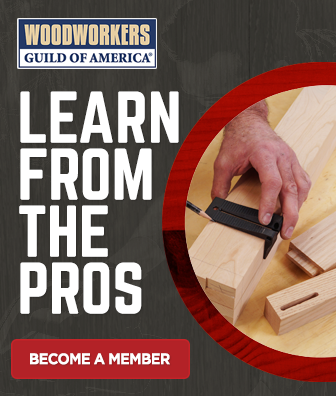 Using a straight edge or framing square cutting guide and a router with a straight bit, cut into the end of your work piece. Cut close to the line. 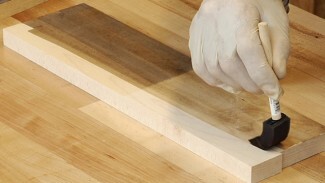 Flip the workpiece over and cut to about 1/8” of the line using a jigsaw. Flush trim. 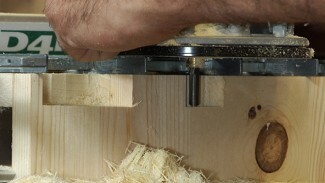 Install the flush trim bit in the router and remove the remaining material. 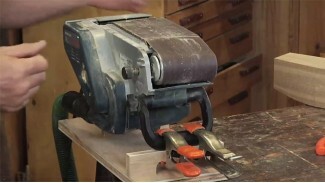 Now that you know how to cross cut with a router, check out more videos on how to use a router.